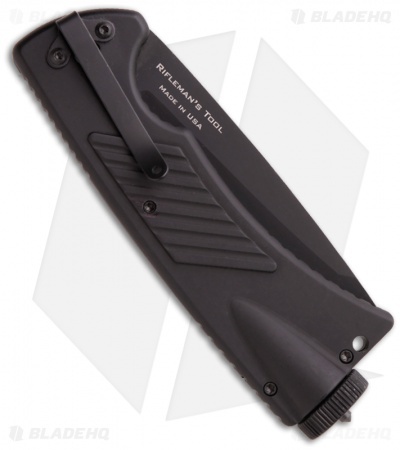 The Blackie Collins Rifleman from Meyerco is an automatic knife that has tools to service AR style platforms. 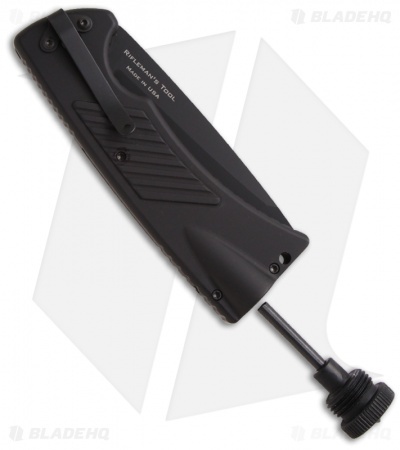 The 6061-T6 aluminum handle has a threaded aluminum cap with a magnesium fire starter and sight adjustment tool. Tucked neatly into the spine of the handle is a stainless steel cartridge extraction tool with DLC coating. The extractor is held in place with the pressure fit from the machined aluminum cap that screws into the handle. 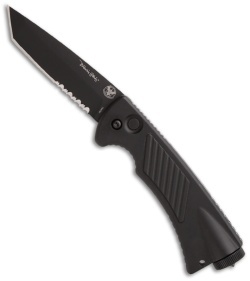 This knife also features a 154-CM stainless steel tanto blade (partially serrated), tip-down pocket clip and tungsten carbide glass breaker tip.